Protect the Endangered Species Act from a Wild Series of Attacks! 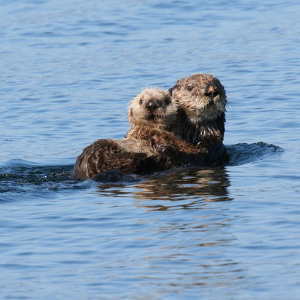 The Endangered Species Act was passed in 1973 with almost unanimous bipartisan support. Yet here in 2018, legislation introduced in the House and directives from the Trump administration have unnecessarily pitted the welfare and legacy of America’s most vulnerable critters against the industrial and economic interests. 4 out of 5 Americans are fans of the Endangered Species Act — and 3 out of 4 conservatives think it’s great, too! Tell YOUR representatives: don’t abandon this bipartisan success! As a young American, I am concerned about legislation introduced to undermine the Endangered Species Act and its roots in strong science. My generation will face the impacts of this legislation. While there is room for improvement to the ESA through a bipartisan, collaborative, and transparent process, throwing out key pieces of the ESA is not the answer. We must work together to create solutions that will protect vulnerable species and provide incentives for landowners so that conservation doesn't have to hurt their interests. The ESA has a legacy of bipartisan support. Please protect the integrity of the Endangered Species Act by working towards bipartisan solutions based in sound science.